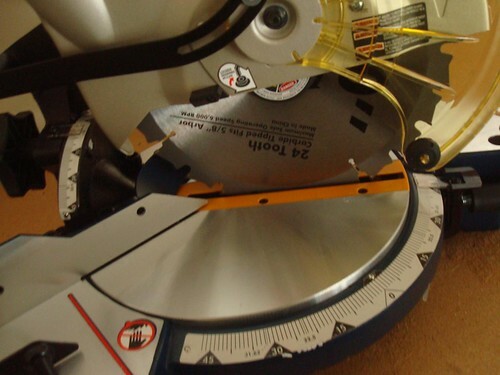 Mrs Dragon's Den: Miter Saw! I don't know that I ever mentioned this here, but back in November we picked up a miter saw on a Black Friday deal. Ana White has inspired me to BUILD and I am dead set on making a set of shelves for the dining room. Picking up the miter saw was the first step. The second step was bolting it down and that's where things got tricky. 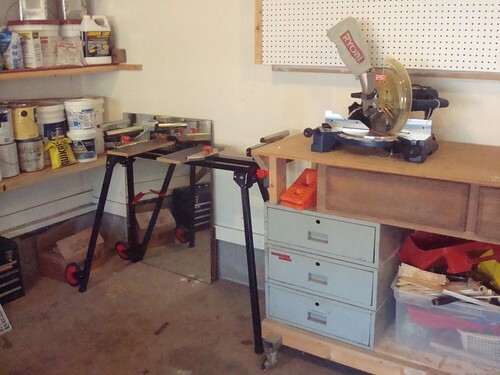 You see, in my mind, the perfect place to bolt the miter saw down was the workbench left behind by the previous owner. It's a wondrous creation of wood and metal and has served us well. But, as the husband pointed out, the top is not actually secured to anything. Ooops. On a whim we checked out our local home improvement store and discovered that they actually sell miter saw stands! (Hooray!) For no less than $100. (Cry!) I came home, hopped online and discovered that, yea, that was just how much they cost. Not wanting to spent $100, we waited. 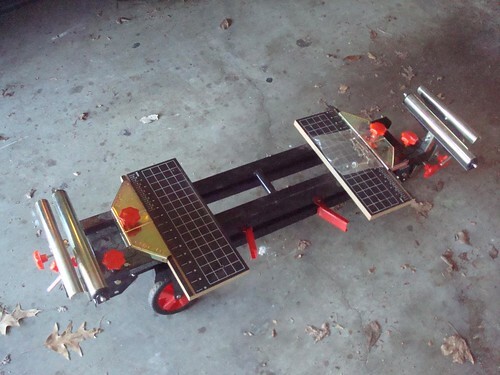 I've been stalking craigslist, looking for an odd table or *something* we could use. 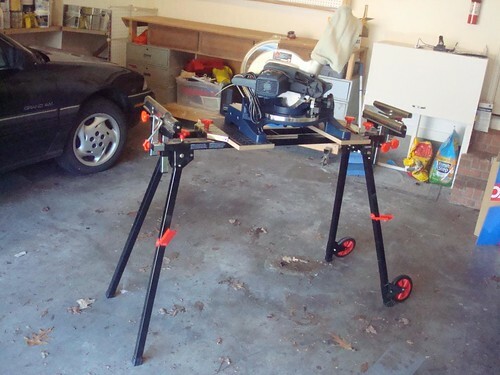 Last night I noticed the "tools" category and searched for "miter saw stand". Just my luck, one popped up! Discounted over 50% from retail and with great online reviews. I emailed the fellow, set up a time to come by and this afternoon the hubby and I made our way out to take a look at the stand. It worked as promised so this beauty came home with us. It folds down for moving/storage which meant it fit in my little blue Corolla. It's currently resting in its new home, waiting for us to drill the necessary holes to bolt down our saw. Once that happens? I can build to my heart's content! I'm planning on starting with some simple planter boxes or a little bench to get my feet wet and start relearning the nuances of working with wood. I love power tools! 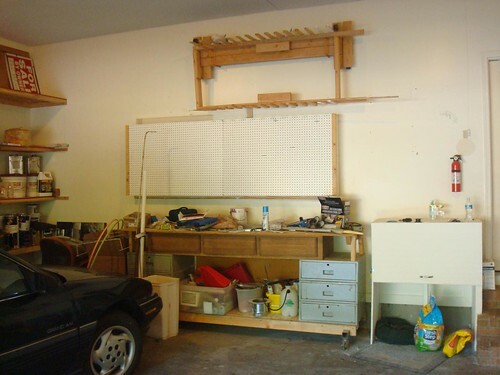 I thought when we got our garage I could move my workbench in there, but there's not enough room. I had no idea there were mitre saw stands either :-) Makes life a lot easier. I can't wait to see what you make too!